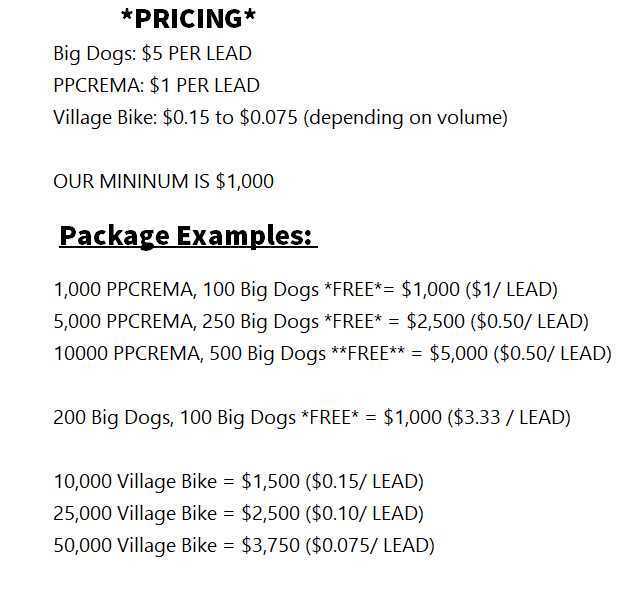 Qualified investor leads do not come cheaply; nor should they. However, they will put you in touch with people who are serious and committed investors. And this is something that cannot be said about non-qualified investor leads. The fact of the matter is that the world of high finance is not an easy one to navigate. Your job, as a finance professional, is to make the kinds of investments that will get your clients the results they want. Before you’re even able to do that, however, you have to make contact with the right kind of clients—or prospective clients. In other words, you have to obtain an investor lead list that will actually result in new business. If you have been laboring with generic leads and not seen any improvement in your conversion rates, then you should probably try something different—a bolder, fresher, more effective approach. Using qualified investor leads will provide you with a tremendous advantage of your rivals. There is a practice among some in the investment community to recycle the same old leads that have come from groups of sharpers who are well practiced in promising the world but never delivering. No amount of good talking and apocryphal stories of success can actually produce results. The only way to get the latter is for you to be put in touch with investors for whom you can obtain detailed information. You must know your client if you are to have any chance of selling to them. Qualified investor leads give you the data you need about their operations, preferences, and interests. You may have recently decided that it is time for you to leave the lower rungs of investment management and brokerage. You may have decided that it is time for you to show something for all of the years you’ve spent in training in and practicing your professions. If you have decided to step onto a new level of selecting and targeting prospective investors, then changing the kinds of leads you use is the place to start. In order to inspire confidence in prospective clients you must demonstrate your own confidence—in yourself and in your product. These things tend to come together when know that the person on the other end of the phone call or computer screen is a fresh, new contact that is genuinely interested in investing their money and working with someone to do it. Working in this kind of environment can be refreshing. It can relieve you of a great deal of stress and strain. You can speak and communicate more naturally and effectively because you will be in a genuine dialogue with someone rather than in the position of pressuring them. There are many things you can do to make your job as a professional more pleasant and rewarding. Few of them are more essential than gaining the means to better understand your prospective clients. Making contact with qualified investor leads will provide you with a clear path to the latter.